[...]But what’s the most exciting role for design? 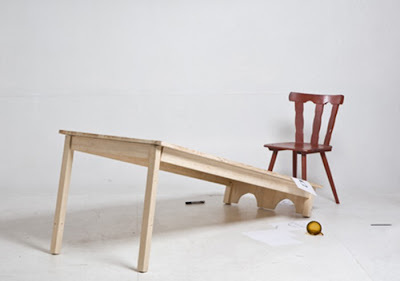 Developing new business concepts and cracking social problems, or making expensive, uncomfortable furniture? Funny! I like design, especially when there s a bit of humour or irony, like that.